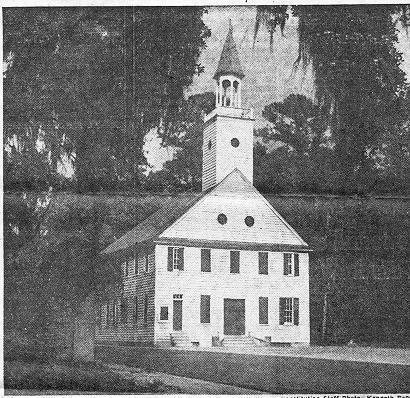 The next picture I can date because it was in The Atlanta Constitution on Sunday Jan 13, 1946 in an article "Famous Old Midway Shrine May Be Offered to the State" Again the road is paved but the Church apparently has not been relocated. After I looked at a map, I realized the road by the Church is a Federal Highway, (Rt 17). It was hard to believe the State of Georgia would have built a concrete highway through Midway in the 1920's or 30's. Over the last 15 years I have been back a number of times to visit the LeConte Woodmanston project.